A high percentage of people think they have allergies, but it may not be the case. The truth of the matter is that only a small percentage of people have actual food allergies. 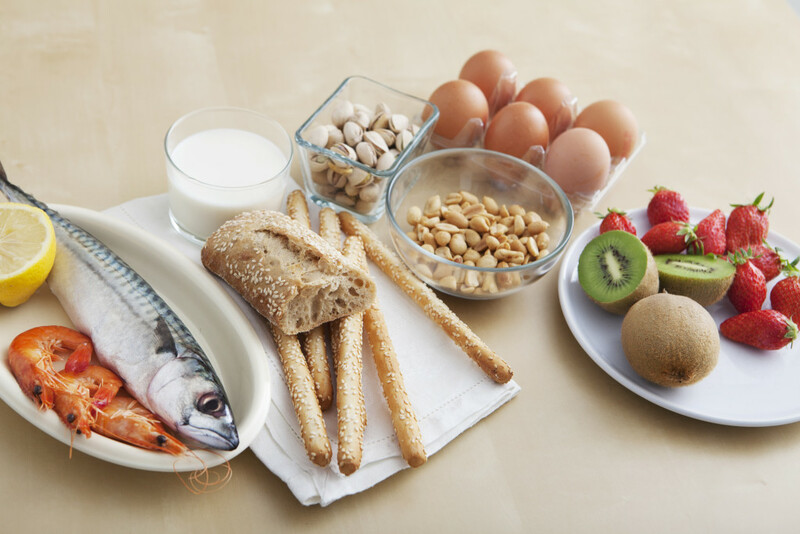 In many cases people confuse food allergies with an intestinal virus, or food poisoning. The symptoms are similar but may be for completely different reasons. Even though the percentage of people with actual food allergies is small (3-4 percent of adults) the number of cases of food allergies are rising. In fact the number of cases has doubled in the last 10 years. People can be allergic to many different foods or food groups. However there are some food items that have a higher amount of cases of food allergies. The most common food allergy is peanuts, or peanut oil. Peanuts always are one of the most deadly allergens as well. Other tree nuts, along with sesame seeds are also high on the list of foods that cause allergies. Other common food allergens are soy, milk and other dairy products. Wheat, shell fish, and other cereal grains. These food items make up about 90 percent of all food allergies. A lot of times people will confuse a food allergy, with food intolerance. The symptoms are similar or the same, but the cause of the symptoms are different… A food allergy is caused by an adverse affect on the immune system of the body. The immune system produces an antibody towards a certain food group, which causes adverse body symptoms. Some are minor, but others can be severe, or even deadly. Food intolerance is an abnormal response to a food group or an additive, but does not involve the immune system. Sometime both will cause the same symptoms but intolerance is rarely severe, however and allergy may be fatal if not treated. To date there is no cure for food allergies of any kind. The only option is complete avoidance of the food causing the allergy. Even trace amounts of the allergen can cause symptoms, so complete avoidance is a must. People who suffer form food allergies should be prepared in case of an accidental ingestion of an allergic food. Usually a simple antihistamine will be enough to control a minor allergic reaction. In extreme cases an injection of adrenaline may be needed, along with an antihistamine. The person will then require emergency medical follow up treatment at a hospital or medical center. They need to be monitored for several hours after the attack because symptoms may re occur during a given period of time. People who are diagnosed with severe food allergies are usually prescribed adrenaline, and should carry it with them at all times. They may by accident ingest a food they are allergic to, and will require fast medical attention. Carrying an antihistamine is also advisable. The symptoms of an allergic reaction will vary depending on the severity of the situations. There are some common symptoms that may occur during an allergic reaction. A flushed face, rash or hives on the skin. The skin may feel itchy as well. Swelling of the eyes, mouth and throat are quite possible. The person may have abdominal pain, diarrhea, or cramps. Sometimes a food allergy will also trigger an attack on the nervous system causing anxiety attacks, rapid breathing, and a drop in blood pressure, in other severe cases; people may have a hard time speaking and swallowing, and even hard time breathing. Even a loss of consciousness is possible. Keep in mind that some of these symptoms may not occur if the allergic reaction is minor, but it is possible to have severe allergies, and some serious symptoms may occur.